Romans 16 is essentially a series of personal greetings as Paul wraps up his letter but squeezed in there also is this passage of counsel and one more which we will consider tomorrow. Romans 16:17 "Now I urge you, brethren, note those who cause divisions and offenses, contrary to the doctrine which you learned, and avoid them. 18 For those who are such do not serve our Lord Jesus Christ, but their own belly, and by smooth words and flattering speech deceive the hearts of the simple. 19 For your obedience has become known to all. Therefore I am glad on your behalf; but I want you to be wise in what is good, and simple concerning evil. 20 And the God of peace will crush Satan under your feet shortly. Matthew 10:34 “Do not think that I came to bring peace on earth. I did not come to bring peace but a sword. 35 For I have come to ‘set a man against his father, a daughter against her mother, and a daughter-in-law against her mother-in-law’..."
Sounds contradictory for Jesus to say He came to bring division and Paul says avoid those who cause division. This would mean we would have to avoid Jesus. Since that can't be the case we have to go back and read more carefully. Paul said avoid those who cause division and offenses CONTRARY to the doctrine which you learned. Big difference. Jesus brought division by bringing truth into error. These men are causing division by bringing error into the simple truth of the gospel. Paul goes on to say: "These men are not serving the Lord Jesus but their own belly". You fill your belly with food. You purchase food with money. These men are misusing religion for personal profit. They are smooth talkers bringing in fascinating theories and conspiracy theories and all kinds of important sounding topics that draw men's imaginations. 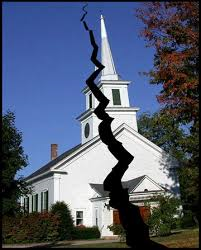 Soon the church is split with some recognizing the hype for what it is while the rest are falling for the bait. The first smooth talker in the Bible was the serpent and he used half truths to draw Adam and Eve onto a wrong path. A few years ago I began to focus my study more on what the devil was doing than on Jesus. It fascinated people but one day I realized it was actually pulling me away from Jesus. I was looking into the darkness rather than into the Light of the world. "The shortness of time is frequently urged as an incentive for seeking righteousness and making Christ our friend. This should not be the great motive with us; for it savors of selfishness. Is it necessary that the terrors of the day of God should be held before us, that we may be compelled to right action through fear? It ought not to be so. Jesus is attractive. He is full of love, mercy, and compassion. He proposes to be our friend, to walk with us through all the rough pathways of life. He says to us, I am the Lord thy God; walk with Me, and I will fill thy path with light. Jesus, the Majesty of heaven, proposes to elevate to companionship with Himself those who come to Him with their burdens, their weaknesses, and their cares. He will count them as His children, and finally give them an inheritance of more value than the empires of kings, a crown of glory richer than has ever decked the brow of the most exalted earthly monarch." If the central teaching of your pastor is not the attractiveness of Jesus pray for him or her and speak to them about it. If you are too shy leave a simple note on the pulpit - "We would see Jesus". If none of that works seek teaching elsewhere. I know that is a bold and divisive statement but it is Biblical. See you tomorrow for the last passage in Romans. 22 For this reason I also have been much hindered from coming to you. 23 But now no longer having a place in these parts, and having a great desire these many years to come to you, 24 whenever I journey to Spain, I shall come to you. For I hope to see you on my journey, and to be helped on my way there by you, if first I may enjoy your company for a while.25 But now I am going to Jerusalem to minister to the saints. 26 For it pleased those from Macedonia and Achaia to make a certain contribution for the poor among the saints who are in Jerusalem. 27 It pleased them indeed, and they are their debtors. For if the Gentiles have been partakers of their spiritual things, their duty is also to minister to them in material things. 28 Therefore, when I have performed this and have sealed to them this fruit, I shall go by way of you to Spain. 29 But I know that when I come to you, I shall come in the fullness of the blessing of the gospel of Christ. I hope as you read the conclusion of chapter 15 you felt a sense of Paul's passion. He understands his life mission and purpose clearly. God has called him to take the good news of what Jesus has done to those who have never heard. He was a gospel pioneer constantly breaking new ground. I have often wondered what it would be like to get off a ship in a city that knew little to nothing about God and begin the task of helping them see Him. Paul wants to go to Rome but instead he is going where God is calling him. In our day such commitment to God's will seems rare. We, even as Christians, tend to do as we please and casually ask/expect God to bless our plans instead of seeking His plans for us. I can tell you from personal experience following His plan for your life is better than any plan you will make for yourself. At every step I have resisted and wanted something else but each time I surrendered to His leading I have been able to look back and see it was a great plan. Romans 15:14 "Now I myself am confident concerning you, my brethren, that you also are full of goodness, filled with all knowledge, able also to admonish one another.15 Nevertheless, brethren, I have written more boldly to you on some points, as reminding you, because of the grace given to me by God, 16 that I might be a minister of Jesus Christ to the Gentiles, ministering the gospel of God, that the offering of the Gentiles might be acceptable, sanctified by the Holy... Spirit." Paul has written a long letter to the church in Rome and he is nearing the end of it. In this passage he is explaining why he wrote to them. Verse 14 is particularly interesting. Clearly there are issues in the church in Rome. Issues between Jew and Gentile Christians and about what the standards ought to be. In verse 14 he says he is confident that they are filled with three things: goodness, knowledge, and the ability to admonish each other. 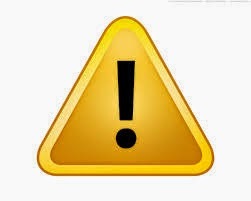 The word admonish means to reason with someone by way of warning. He then goes on to explain that in spite of his confidence in them God has inspired him to minister to them by way of letter. This got me thinking. All of us like to think we are basically good and well meaning and know what is right and wrong. Despite this we often disagree about what is right and wrong. I mean look at how fractured Christianity is over questions of how a Christian should live. People insisting on having things "the right way" either run others out of the church or their lives or their marriage or whatever the case may be. Is this what Jesus would have us do? However it's the comment about knowing how to admonish each other that has me stopped in my tracks. Do we know how to admonish each other? Winston Churchill said "I love to learn I just hate to have anyone teach me." The root of his sentiment is pride. For you to teach me is to admit you know more than I do and perhaps that is a place of humility I'm not prepared to occupy. To admonish you means I'm right and you are wrong. Again a path potentially paved with pride. Yet there are times when in love we need to correct each other. Do we know how? I am not so confident we do. After 16+ years of pastoring I see two general paths. One is to stand by in silence and watch someone make a mess because we don't want to be offensive. The other path is to get on a high horse and "set them straight". Neither is effective and neither is directed by the principle of love. When a person has been corrected, rebuked, admonished in the right way they will leave the encounter sure of one thing above all else - they are loved. When Jesus had to admonish the rich young ruler for his selfish pride the Bible says "Jesus looked at him and loved him and said "One thing you lack...""
What message does your look send? What emotion coats your words? 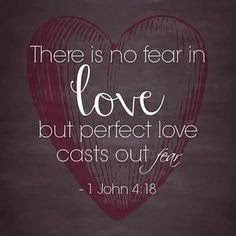 If we want to be able to love like Him we must first be loved by Him for we love because He first loved us. As Romans is winding up the theme is crying out loud and clear. Remember the promise made to Abraham when the nation later known as Israel and now commonly referred to as the Jewish nation was but a twinkle in his eye? The promise was that a Seed would come and through Him all the nations of the earth would be blessed! The Good News was not for the Jews alone. What made them special was that the Good News would come through them. All through the Old Testament there are clear clues from God that His heart is for every kindred, nation, tongue, and people. Rahab the prostitute was rescued from Jericho with her "heathen" family. Ruth was grafted into the family from the "perverse" Moabites. Jonah was sent to "evil" Nineveh with a message of warning, hope, and mercy. Jesus came finally through the line of the circumcision (Israel) but His life, example, and travel took Him across borders and tore every barrier of prejudice clean of their hinges. He was not the Messiah for the Jews but rather the Messiah from the Jews. Every colour, every country, every language, every real and imagined wall erected between men is torn down in Him. In Him is life and peace and love and forgiveness and hope for every being in whom there is breath, ears to hear, a heart to feel, and a desire to say "Lord remember me when you come..."
Romans 15:1 "We then who are strong ought to bear with the scruples of the weak, and not to please ourselves. 2 Let each of us please his neighbor for his good, leading to edification. 3 For even Christ did not please Himself; but as it is written, “The reproaches of those who reproached You fell on Me.” 4 For whatever things were written before were written for our learning, that we through the patience and comfort of the Scriptures might have hope. 5 Now may the God ...of patience and comfort grant you to be like-minded toward one another, according to Christ Jesus, 6 that you may with one mind and one mouth glorify the God and Father of our Lord Jesus Christ." Confession time: When walking with someone who can't walk as fast as you the polite considerate thing to do is slow down to their pace. I struggle mightily with this. I want to go my speed. Faster than me is too fast. Slower than me is too slow. In matters of belief and conscience we are often this same. We have "righteous" name calling like liberal and conservative. Typically in our minds we are in the middle and anyone who is too relaxed and does questionable things is liberal and anyone who is to strict and worries about things no reasonable person should worry about is conservative. All this labeling only betrays how self centered we are. Jesus is our Lord and our Teacher. We are to learn from Him how to live and how best to relate to others and treat them. He as our teacher is as high as the heavens are above the earth more wise than we are. Does He act arrogantly because of it? Does He belittle us? Does He leave us in His intellectual dust? One day in talking with His disciples He said "I have many things to tell you but you are not able to bear them now." There is progression in learning, progression in growing, progression in building things, progression in any process. The assembly line which when employed by Henry Ford made the mass production of vehicles quick and efficient works on this principle. Step by step, piece by piece, a new car takes shape. God is doing the same with us. Step by step He is gently reshaping us into His image. It is a process that takes time. If you are ahead of someone else the kind, considerate, Jesus - like thing to do is to interact with them where they are and when they are able take another step. Two selections from the remainder of chapter 14 today as we wrap up a very practical and critical point Paul is making. Romans 14:14 "I know and am convinced by the Lord Jesus that there is nothing unclean of itself; but to him who considers anything to be unclean, to him it is unclean. 15 Yet if your brother is grieved because of your food, you are no longer walking in love." Here Paul does something we almost never see. He states his view and then immediately defends those who see it differently then he does. Revolutionary! It isn't a problem for me says Paul. I am fully convinced that no thing is inherently unclean. If a man worships a rock that does not make rocks idols or bad. That is how I see it. But...BUT if my brother, sister, friend, neighbour feels that rocks are now tainted by association and represent something evil than for them it is indeed unclean and if you love them you will respect them and their point of view. 22 "Do you have faith? Have it to yourself before God. Happy is he who does not condemn himself in what he approves. 23 But he who doubts is condemned if he eats, because he does not eat from faith; for whatever is not from faith is sin." In conclusion your views and understanding of any issue are between you and God and should never be pushed or forced on anyone else. Live your conscience before God. If you are unsure do not be ok with anything until you are sure. If we aren't living and acting according to what we firmly believe God is showing us we are sinning. However even if we are fully convinced it still leaves no room to think less of someone else who sees it differently. Follow Jesus - Love your neighbour. Romans 14:5 "One person esteems one day above another; another esteems every day alike. Let each be fully convinced in his own mind. 6 He who observes the day, observes it to the Lord; and he who does not observe the day, to the Lord he does not observe it. He who eats, eats to the Lord, for he gives God thanks; and he who does not eat, to the Lord he does not eat, and gives God thanks. 7 For none of us lives to himself, and no one dies to himself." Keeping the context... in mind once again the followers of Jesus were essentially a new religion. Those who had been Jewish were embracing Jesus as the Messiah while the majority of the Jews did not. The rest of this new religion we call Christianity was made up of Gentiles or essentially everyone and anyone who wasn't previously Jewish. This created two major dynamics. First within the former Jews there was a difference of opinion about how much of their Jewish customs they should keep. There were feasts and special holy days and Sabbaths beyond the weekly Sabbath. Some felt these should still all be observed. Some felt the opposite. Add to this the Gentiles who never had any of that background to begin with and it's quite a cultural mix. As we talked about yesterday the Gentiles and Jews also struggled with meat that had been sacrificed to pagan idols before being sold in the market places. What to do? Again Paul does not solve the issues by picking sides. He advocates for two basic things. First in your own decision making follow your conscience before God. Secondly practice love and mutual respect. For example you may feel eating meat sacrificed to idols is ok. That's fine. However don't bring it to a church function or serve it to guests in your home if it is an issue for them. Love would never do something like that. We'll explore this tomorrow as Paul goes more thoroughly into the subject. See you then. Romans 14:1 "Receive one who is weak in the faith,but not to disputes over doubtful things. 2 For one believes he may eat all things, but he who is weak eats only vegetables. 3 Let not him who eats despise him who does not eat, and let not him who does not eat judge him who eats; for God has received him. 4 Who are you to judge another’s servant? To his own master he stands or falls. 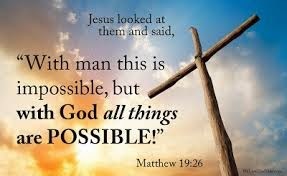 Indeed, he will be made to stand, for God is able to make him stand." Remember as we go that the main theme of Romans is the Good News that in Jesus there are no borders, colours, or races. He has no favourites. We are all His and all equal. This was a radical concept in 1st century Palestine and remains just as radical today but no less true. The specific issue in these verses is dealing with differences of opinion and understanding in the body of Christ. One point of contention back then was over food. Piecing clues together from other letters in the New Testament we discover that it was common practice for food, especially meat, to be offered to pagan gods as an act of thanks/worship and then sold to the public in the market. Christians were of two minds on this. Some felt the fact that the meat was associated with idol worship made it "tainted" and they would not eat it. Others believed that since idols were only wood, stone, or metal that it was pure foolishness and had no problem eating it. Rather than choose a side Paul takes a radical third position. He essentially says "Do what you believe is right and respect each other without judgment even if you disagree." Paul are you saying??? Doesn't the Bible say "How can two walk together unless they be agreed?" Yes the Bible says that. So then is Paul contradicting the Word of God? Hardly. It is essential we agree on the important things but Paul says this is a "doubtful matter". Both sides make a valid point. Both show reverence for God and a disdain for idols. They just express it differently. Not all roses are red yet they are all roses. If we insist that others must see things our way on every issue to be a "true Christian" then we are going to be a cause of misery to others and ourselves plus we are ignoring the direct counsel of God. Some say live and let live. Some say in essentials unity, in non essentials liberty, and in all things charity (love). 13:11 "And do this, knowing the time, that now it is high time to awake out of sleep; for now our salvation is nearer than when we first believed. 12 The night is far spent, the day is at hand. Therefore let us cast off the works of darkness, and let us put on the armor of light. 13 Let us walk properly, as in the day, not in revelry and drunkenness, not in lewdness and lust, not in strife and envy. 14 But put on the Lord Jesus Christ, and make no provision for the flesh, to fulfill its lusts." Do this. Do what? Put on love. Become one with Jesus. Make Him the center of your life. Notice that what Paul calls the "works of darkness" are all things focused on myself. Putting me first only leaves me empty. Putting Him and others first leaves me full. God designed us for interconnectedness and interdependence. We thrive and find true happiness in seeking the good of others and immersing ourselves in the wonder that He is. In his last line of chapter 13 he says "and make no provision for the flesh". Don't make sin easy. If you have an addiction don't fill your cupboards with it and then try and resist. Fill your life with Jesus first. Every morning reflect on Him, the things He has done for humanity and the things He has done for you personally. Then reflect on His promises. Think about all He has said He will do. When I get home at night (I live far from city lights) I look up at the uncountable stars and think how full heaven is going to be with all of us. When I see the sun or the moon pushing it's light through cloud cover I imagine what it will be like when Jesus and countless angels burst through our galaxy to come to our rescue. When I face a new day I remember that Jesus faced a new day every morning as well and knows my challenges and has my back. Don't focus on emptying your life of sin. 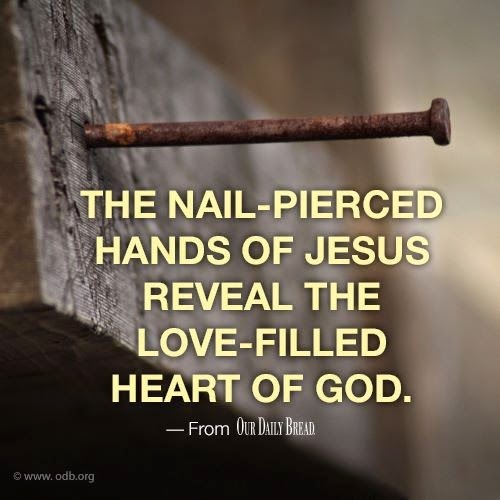 Focus on filling it with Jesus and His love. Focus on filling it with activity that will bring a smile to someone else's face. When you do these two things you will bring a smile to His face and yours as well. 13:8 Owe no one anything except to love one another, for he who loves another has fulfilled the law. 9 For the commandments, “You shall not commit adultery,” “You shall not murder,” “You shall not steal,” “You shall not bear false witness,” “You shall not covet,” and if there is any other commandment, are all summed up in this saying, namely, “You shall love your neighbor as yourself.” 10 Love does no harm to a neighbor; therefore love is the fulfillment of the law." Love does no harm. Love causes no pain to another. Love brings all other good things in its wake. You can not steal and not love at the same time but you can't love and steal. Love needs no rules. Love is its own law. It does more than not harm. It seeks the betterment of others. Obsessing about being good and not breaking rules is actually loveless. 1 Corinthians 13 says love is not self seeking. Jesus was love, is love, and His only concern was and is others. Moses fell in love with the wayward Israelites and offered to die so they could be spared. Paul echoed his sentiments. When we see people sacrifice themselves for the good of others we automatically recognize it as love. The sad reality is I could spend my entire life seeking right behaviour and never love anyone in the entire process. If all religion is is rules then we have not found Him. Find Him. 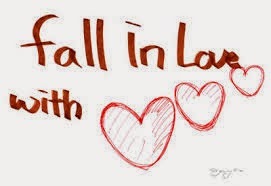 Fall in love. 13:1 "Let every soul be subject to the governing authorities. For there is no authority except from God, and the authorities that exist are appointed by God. 2 Therefore whoever resists the authority resists the ordinance of God, and those who resist will bring judgment on themselves. 3 For rulers are not a terror to good works, but to evil. Do you want to be unafraid of the authority? Do what is good, and you will have praise from the same. 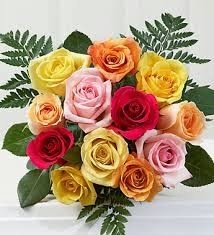 4 For he is God’s minister to you for good. But if you do evil, be afraid; for he does not bear the sword in vain; for he is God’s minister, an avenger to execute wrath on him who practices evil. 5 Therefore you must be subject, not only because of wrath but also for conscience’ sake. 6 For because of this you also pay taxes, for they are God’s ministers attending continually to this very thing. 7 Render therefore to all their due: taxes to whom taxes are due, customs to whom customs, fear to whom fear, honor to whom honor." It is true that sometimes we find ourselves "under" authority figures that are not doing the best job. Perhaps God placed them there to learn something about themselves. Perhaps He placed them there to teach us humility. It is not for us to know all the "whys". It is for us to be humble and do the tasks we're given in whatever position we find ourselves. Remember God's goal is not necessarily to have the right man in the right position from an ability point of view. His goal is to get His children Home. Judas was a thief and Jesus appointed him treasurer. Eternity will show why. Our "job" is simple: Humbly follow. Buckle up as we finish chapter 12! 14 "Bless those who persecute you; bless and do not curse. 15 Rejoice with those who rejoice, and weep with those who weep. 16 Be of the same mind toward one another. Do not set your mind on high things, but associate with the humble. Do not be wise in your own opinion. 21 Do not be overcome by evil, but overcome evil with good." I am disappointed but not surprised sadly by the growing intolerance that bubbles below the surface as the news continues to parade violence wherever it can find it. As followers of Jesus we have a role model who behaved much differently than our nature wishes to behave. When Jesus faced enemies He did so with one goal in mind - to reach their hearts. Now He was not always successful. He even lost one of His own disciples. This makes His behaviour even more remarkable. He didn't employ a "kindness strategy" to get guaranteed results. He was who He was. He was love in action. Every look, every touch, every word was designed to disarm hate and awaken love. His behaviour was not affected by our behaviour or by our skin colour, or by our race or place of birth. He was. Unchanging and unchangeable He walked among us, and whether embraced or spit upon He simply loved. What strikes me most about Him compared to us is that where we are reactive He was proactive. We tend to adjust based on outside influences. Not Jesus. He was the influence. He brought calm to chaos, love to hate, compassion to prejudice, truth to error, and action to complacency. We may never win our enemies but that should never lessen our love for them. "As much as is possible as it depends on you live peaceably among all men". Live in the Light and others will be impacted by His reflection. Romans 12:9 "Let love be without hypocrisy. Abhor what is evil. Cling to what is good. 10 Be kindly affectionate to one another with brotherly love, in honor giving preference to one another; 11 not lagging in diligence, fervent in spirit, serving the Lord;12 rejoicing in hope, patient in tribulation, continuing steadfastly in prayer;13 distributing to the needs of the saints, given to hospitality." I love digging into the original Greek and Hebrew because you find things... the English just doesn't express as well. There is a website www.biblos.com where you can click on interlinear and read the English with the Greek words above. Above each word is a number and when you click on the number it will take you to the root word and define it. In our verses today it says abhor (literally hate) evil and cling to what is good. Now cling creates a picture in my mind of a rock climber desperately trying to keep a grip on the rock face to prevent himself from falling. I wanted to know what Greek word was behind this so I followed the steps above and looked it up. The literal word is glue. Now I dabble with wood and I use some glue. I have glue that is so strong that if you try and take the two pieces of wood apart again the wood will break before the glue joint does. Now think about that. We need to choose to hate sin which by nature we love and instead glue ourselves to that which is good. The only One I know who is truly good is God. I much prefer the picture of being glued to Him over the picture of desperately clinging to a rock face fearing death. When I was a kid and Michael Jordan was at his peak there was an ad campaign with the slogan "I wanna be like Mike!" 12:4 "For as we have many members in one body, but all the members do not have the same function, 5 so we, being many, are one body in Christ, and individually members of one another. 6 Having then gifts differing according to the grace that is given to us, let us use them: if prophecy, let us prophesy in proportion to our faith; 7 or ministry, let us use it in our ministering; he who teaches, in teaching; 8 he who exhorts, in exhortation; he who gives, with liberality; he who leads, with diligence; he who shows mercy, with cheerfulness." We are from one blood and all equal but do not mistake equal for identical. God loves variety and in our equality has made us all different. Don't try and be someone else. Don't think yourself less or more based on the gifts and talents He has given you. We are all different but with one grand purpose - to love and support each other and in so doing make our Father look GOOD! That's what it means to give Him glory - Use everything He has given us to brighten the corner where we are. 3 "For I say, through the grace given to me, to everyone who is among you, not to think of himself more highly than he ought to think, but to think soberly, as God has dealt to each one a measure of faith. 4 For as we have many members in one body, but all the members do not have the same function, 5 so we, being many, are one body in Christ, and individually members of one another." Again remember the context - Jews and Gentiles under one roof having Jesus in common. Several years ago I had a situation where the church I was pastoring was having some special evening meetings but I was not the speaker. At the same time we were trying to get to reach out to the people who were clients of our food bank and the surrounding neighbourhood. There was one evening when the activities at the two locations overlapped and I chose to go to the food bank first and when that was finished and I went over to the church. I had barely come in the church door when I was confronted by a less than happy church member who felt I should have been at the church all evening. I will never forget their words: "Aren't we more important than them?" I'm quite certain the look of shock on my face made an answer to the question unnecessary. Pride is an evil thing and it can enter our thinking so subtly. We associate material superiority with self importance. Really? Abraham Lincoln was raised in poverty. So were countless others who went on to have a huge impact on our world. The Jews had a superiority complex because God chose them. God gave them the tablets of stone and the sanctuary and the prophets and the priesthood and the Messiah so you better understand lowly Gentile that you are a second class Christian... tragic and worse ignorant. You see if the Jews were honest with their family tree they would be forced to conclude that it contained a lot of Gentiles right in the direct line that lead to Jesus. Not only were there lots of Gentiles but lots of humiliating scandal too. Acts 17:26 says "He has made from one blood all nations of men". It was the belief in superiority of some over others that motivated Hitler and other historical "monsters". Read today's verses again. We may be different in looks, wealth, abilities, etc... but none are better than or have more value. Next time you are tempted to look down at someone remember that - all nations: one blood. 12:1 "I beseech you therefore, brethren, by the mercies of God, that you present your bodies a living sacrifice, holy, acceptable to God, which is your reasonable service. 2 And do not be conformed to this world, but be transformed by the renewing of your mind, that you may prove what is that good and acceptable and perfect will of God." Sometimes I am accused of "making it too easy". Other times I am accused of "making it too hard". The truth is you can read some verses and it sounds so simple and easy to follow God and other places it sounds impossible. The irony is both are true. Do I have to be perfect or do I come just as I am? The answer is yes. Yes to both. Therein lies the tension and the confusion. It sounds contradictory and impossible. Let's work backwards. Will heaven be a perfect place? Yes. That means I either must be perfect or not there because if I am there and less than perfect than heaven is less than perfect. Let's go back to the beginning. "Then God said: "Let us make man in our image..."" God is perfect. God is Holy. God is love. That means we were created just the same. But wait... "Do not be conformed to this world but be transformed by the renewing of your mind". So the problem is in the mind. That's interesting. As a kid growing up it always seemed like the problem or "sins" were the things I did wrong. Paul says the problem is in the mind. If I came to God as I am with all my pride issues and lust issues and anger issues etc... I would have to believe that He would accept me in that condition and that He could and would do something to help me. I would have to believe... That sounds like a mind issue. The world says there is no God and if there is He doesn't care much because look at the mess we're in or He isn't very powerful because He isn't fixing everything. Nice guys finish last. His ways don't work. Will we be conformed to this view or be transformed by the renewing of our mind to see things only God can reveal and the unbelieving world will never see. God Only Listens To Good People??? 12:1 I beseech you therefore, brethren, by the mercies of God, that you present your bodies a living sacrifice, holy, acceptable to God, which is your reasonable service. 2 And do not be conformed to this world, but be transformed by the renewing of your mind, that you may prove what is that good and acceptable and perfect will of God." Ironically neither of these groups will come to God but for opposite reasons. The "good" religious group who are "holy" by birthright don't need God in any deep way because they are already "good". The other group feels too "bad" to come anywhere near God. They don't fit in religion and feel condemned for all their "badness". When I go back to my hometown invariably there is one person who will always make a comment along the lines of "Put in a good word for me with the Big Guy". Finally I clued in after a few years of these comments and I responded one day by saying "Why don't you talk to Him?" His response was immediate and genuine "He will listen to you, He won't listen to me". Translation: God only listens to good people and I am not a good person. Think of all that Paul has said. All have sinned and fallen short. There is none good, no not one. 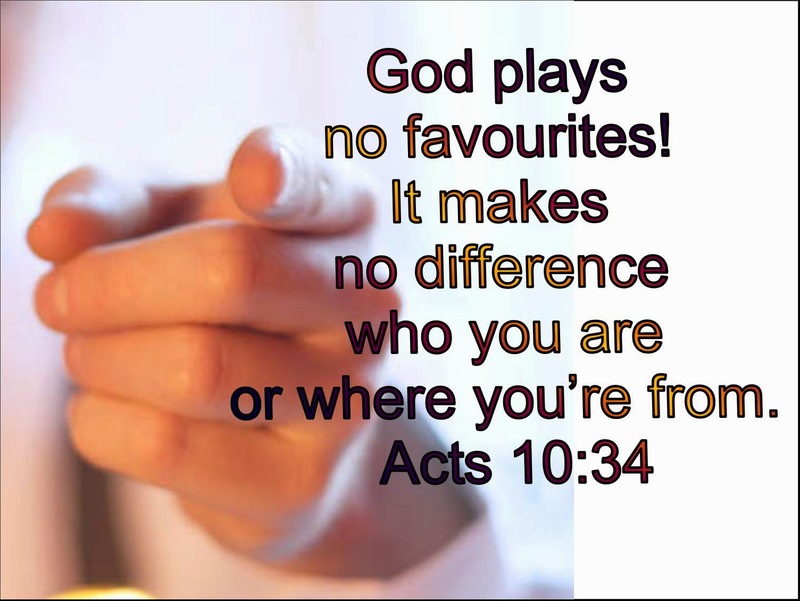 God has no favourites. The good I want to do I don't do and the bad things I don't want to do, those things I do. The truth is there are only two kinds of people in our imagination. 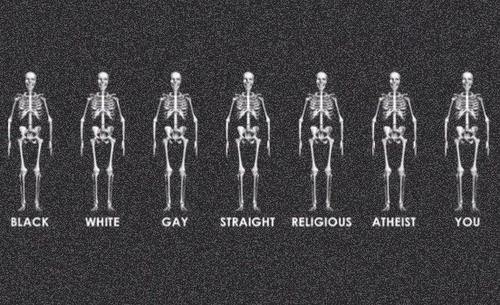 The truth is we are all the same. We struggle to be what we wish we could be. We are broken and flawed. Some of us might hide it better or appear to have things more together but in our hearts we are all the same. This is why Paul says "I beg of you because of His mercy come to Him. Come as you are. Bring yourself alive with all your lumps and bumps and give yourself to Him. It will be a holy offering because we have been washed and made clean in the blood of the Lamb. There is nothing between us and God. 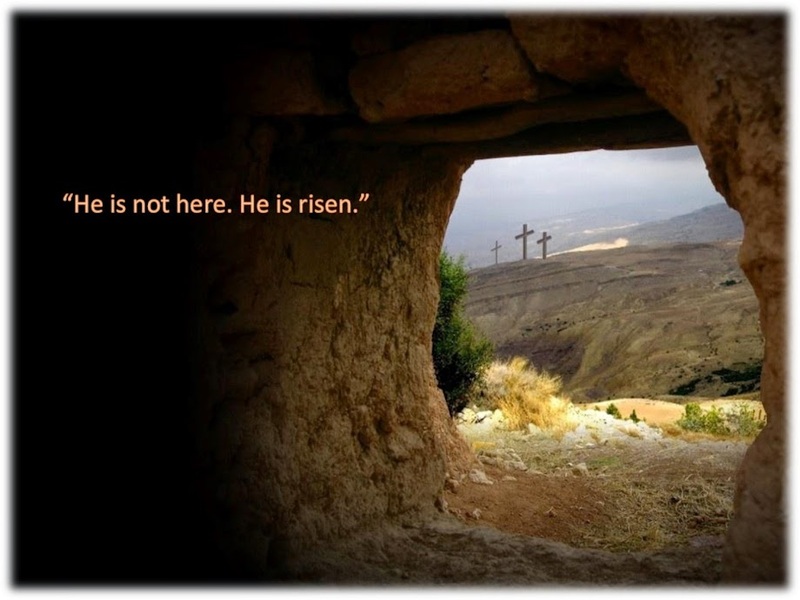 Jesus has removed the barrier. Clearly it does not mean to become holy and perfect before we come to God because the next verse talks about the transformation that will take place when we come. It is impossible to come anywhere near God and not be impacted and changed by His selfless love. I often wonder how many people there are in the world who have a desire for God but are held back by an overwhelming sense of guilt. "God will listen to you but He won't listen to me." If you feel this way be assured it is not true. God has no favourites. Whoever includes you. There is nothing you have done or thought about doing that God has not already forgiven you for. He just wants you to understand His love and come Home. I've decided to finish out chapter 11 in one day as it continues on the theme of Israel not believing and the Gentiles being grafted in because they do believe. It could simply be said that regardless of your bloodline or heritage if you believe you are His and if you refuse to believe He will honour that choice. However I would like to hit on a point Paul makes to the Gentiles. He tells them not to boast because they have been grafted in. Living in Alberta again for the first time since 1999 it is obvious that the economic success here has created an attitude of boasting. Lately this attitude is changing to one of fear. Human nature is a funny thing. We often take pride in things as a credit to ourselves when in reality we are benefitting from something we had no part in. It is no credit to any individual in Alberta that we are sitting on oil and gas. We are fortunate but not better than others in places which don't have these valuable resources to extract from the ground. Does me believing in what Jesus did for us make me better than someone who doesn't believe? Not a chance! What Jesus did makes me rich but it is no credit to me. If it does not make me humble and grateful than I don't even understand Him. Israelite or Gentile, black or white, English or French, Christian or Muslim or atheist etc... - None are better. A believer is not better, just blessed, and a spirit of pride will eventually make us an unbeliever... a heart that truly believes in Him will desire only the best for all. Yesterday was sort of bad news so I'm glad you came back for the Good News. Malachi 3:5 says "I Am the Lord, I do not change..."
Romans 11:11 "I say then, have they (Israel) stumbled that they should fall? Certainly not! But through their fall, to provoke them to jealousy, salvation has come to the Gentiles.12 Now if their fall is riches for the world, and their failure riches for the Gentiles, how much more their fullness! 16 For if the firstfruit is holy, the lump is also holy; and if the root is holy, so are the branches." God is like the wisest of parents. Yesterday we saw that God allows us to have and/or do what we want even when He knows it will harm us? Why? A loving parent only withholds the bad stuff. All restrictions are for the good of their children and all rules for their protection. However a wise and loving parent knows there are times when a determined will must be freed to pursue it's own course. We saw yesterday that Israel was determined to have a king and God permitted it against what He knew was best. He did it so that what they wouldn't learn through simple trust they might learn through experience. Sometimes children (and adults) need to taste the bitter fruit of their own warped desires to truly learn that "Father knows best". In today's passage we see God is applying this principle. He has made Israel free to reject His Son and now He is blessing the believing "heathen gentiles" so that Israel can see that rejecting Jesus was the wrong choice. God's rejection of Israel was not for their destruction but rather for their salvation because everything God does is designed to lead us Home. Why? Because He is God and His love for us never changes. Verse 9 says "Let their table become..." which means it started out one way and is going to become something different. A table is where you eat. God says of Himself "Taste and see that the Lord is good"
In the book of Judges the nation of Israel was spiraling downward after the death of Joshua primarily because of disobedience. Not the disobedience we think of but the unbelieving kind of disobedience. They were supposed to be taking possession of more and more of the Promised Land but fear and unbelief prevented them. The truth is the less we trust Him the less we see Him work and the less we see Him work the less we trust Him. As things got worse for Israel they started looking for a cause and a solution. They looked at the "mighty" nations around them and saw they had kings. They concluded that if they had a king they would be mighty too. They asked Samuel the prophet to appoint them a king. He refused and told them God is their king. They persisted. Finally God spoke to Samuel and told him to give the people what they wanted but tell them what the consequences will be (high taxes, military conscription for their sons etc...) The people agreed and still wanted a king and God gave them what they wanted. Do you see the pattern? God does not blind us by force or intentionally lead us astray. It is very much the opposite. God desires us to make good choices but allows us to choose whatever we wish. Freedom. God is the ultimate gentleman. He forces no one. After coming out of captivity in Babylon Israel wanted to buy heaven. They wanted to earn God's favour by law keeping. They determined to be so good that God would be forced to keep blessing them. This obsession with law keeping actually made them intensely self focused and blind to His love. So blind they shipped His Son to the cross. I love how Paul consistently refers back to stories to help explain what he is teaching. 11:2 "Or do you not know what the Scripture says of Elijah, how he pleads with God against Israel, saying, 3 “Lord, they have killed Your prophets and torn down Your altars, and I alone am left, and they seek my life”? 4 But what does the divine response say to him? “I have reserved for Myself seven thousand men who have not bowed the knee to Baal.” 5 Even so then, at this ...present time there is a remnant according to the election of grace. 6 And if by grace, then it is no longer of works; otherwise grace is no longer grace. But if it is of works, it is no longer grace; otherwise work is no longer work." During the time of Elijah Israel was a mess. They were very religious but it was more Baal worship than anything else. More and more I am understanding the appeal of idol worship. It better suits our warped picture of God and our selfish natures. We see God too often as angry and/or demanding. Hard to love a god like that. Since this view of God excludes the possibility of love it becomes a relationship of forced dependence. God has things we want and need so we are forced to appease Him in order to get them. It's sick and creates religions that are warped and unhealthy. While all this is happening God simply wants us to know Him as He is and shower us with His grace. Think how messed up things were when God chose the descendants of Abraham to reveal His true character of love and mercy and forgiveness to the world yet they became more messed up than the nations around them. The picture of God they painted was more distorted and confusing and unappealing than the gods the other nations had already invented. Here we are 2000 years after the cross and I have to wonder what kind of confusing picture we're painting for the world. Clearly the wrong one when men and women raised in Christian homes and countries are leaving for Islam and eastern mysticism and new age philosophies and/or atheism. To know Him is to love Him so clearly we are not making Him known. How do you see Him? Works in order to get from Him what you want or grace from a Father who simply wants you Home in His arms? 11:1 "I say then, has God cast away His people? Certainly not! For I also am an Israelite, of the seed of Abraham, of the tribe of Benjamin. 2 God has not cast away His people whom He foreknew." The take away from the larger context of the past few days and these particular verses is again that God has no favourites and no borders. No one is "in" or "out" based on any inherited or external criteria. The fact Jesus was born through the line of Judah does not give them special status or make them superior. The fact they rejected Jesus as a nation does not exclude or prevent any individual Jew from choosing Him and obeying the Good News. Imagine a play. In the play there are many actors and actresses. Some have more prominent parts. Some have many lines, some few. No matter their part they are all "in" and the only way to be "out" is to quit. Israel - the Jews - play the leading roles in much of the Bible story leading up to the birth of Jesus. However even before His birth many "opted out" like Esau whom we talked about earlier. Others who were not even born into Israel opted in like Rahab the prostitute. One day Jesus' mother and brothers came looking for Him, upset and confused by His ministry. Someone told Him "Your family is here to see you". Looking around the room at those who were already with him by choice He said "These are my family". God made all of us and loves all of us and sent sent His Son for all of us. However heaven, the place where we live with Him for eternity, will be made up of people from every nation, kindred, tongue, and people who chose Him - who loved Him in return - who obeyed the good news. Today is extremely simple and short but don't mistake simplicity or brevity as being unimportant. There is nothing unimportant about disobedience. When I was in grade 4 or 5 I had my first encounter with serious disobedience on the school playground. The rule was simple - no playing beyond the school yard. 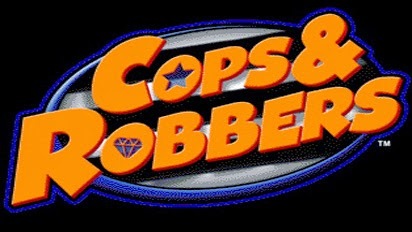 Well after school one day a group of us got the great idea of playing cops and robbers. Being the good citizen I was I was a cop. Our game needed hiding places and the forest beyond the school yard was the only viable option. 10:16 But they have not all obeyed the gospel. For Isaiah says, “Lord, who has believed our report?” 17 So then faith comes by hearing, and hearing by the word of God. That's an ironic twist isn't it. Religion talks much about obeying the law but Paul says the real problem is that we don't obey the good news. What does not obeying the good news look like? It looks like unbelief. See the report that went out to the ends of the earth is that Jesus is the Lamb of God that takes away the sins of the whole world. 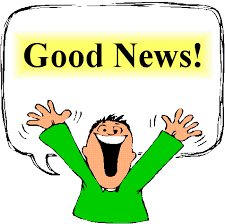 We either believe this good news or we stubbornly insist on trying to create our own version of "being good". Imagine if when Adam's mom and the principle found him he said, "Oh don't worry about me. I heard you calling but I didn't call for help because I don't need any. Go on and leave me here. I can handle this myself." Crazy eh? Today if you hear His voice call for help... the Good News is all we have and all we need. In Luke 15 Jesus tells 3 stories back to back to make one point: A lost sheep story, a lost coin story, and two lost sons. My imagination is always captured by the lost sheep. I picture where it might have been found. Perhaps it's foot got jammed between two rocks. Perhaps it climbed a high piece of rock or ledge and was afraid to come down. To call you have to know to believe or trust. That makes sense. When I need help I call someone I believe can help me and that I trust to do it. In order to know they have the ability to help and are trustworthy I must know them first. It is even possible to need help and not know someone with the skills you need. You tell a friend and your friend says "I know just the right person for that!" Paul is saying "they" (the "heathen" non Jewish world) can't cry out to God for help unless they know He can help and trust that He will. They won't know He is trustworthy unless someone tells them... So whether it is blind Jews blinded by error and tradition or lost gentiles who never knew God cared for them, they both need good news proclaimers sent to them. If you know He is Good introduce Him to a lost sheep so they can cry out to Him too. Be a good news teller today. Beautiful. God has no favourites. There is no distinction between Jew and Greek. See the book of Romans is not primarily about how amazing the good news (gospel) is although it is amazing grace. The primary message is who the good news is for and the answer to that is "whoever calls on Him". Pharaoh could have called. Esau could have called. Judas could have called. Jews can call. Gentiles can call. Black and white and every shade in between can call. Rich and poor can call. LGBTQ and straight and any other category we come up with can call. East and west can call. God has no favourites. Muslims and Hindus and Buddhists can call. Atheists and agnostics can call. Young and old and sick and healthy can call. The truth is He is already calling you. He has left several messages. The most urgent message was His Son. He eagerly is waiting for all of us to call back. 10:5 "For Moses writes about the righteousness which is of the law, “The man who does those things shall live by them.” 6 But the righteousness of faith speaks in this way, “Do not say in your heart, ‘Who will ascend into heaven?’” (that is, to bring Christ down from above)7 or, “‘Who will descend into the abyss?’” (that is, to bring Christ up from the dead).8 But what does it say? “The word is near you, in your mouth and in your heart” (that is, the word of faith which we preach): 9 that if you confess with your mouth the Lord Jesus and believe in your heart that God has raised Him from the dead, you will be saved. So we have in theory 2 options. We can be legally perfect or we can trust Jesus to cover us with His perfection while healing us from the inside out. Option 1 is an illusion because we have already failed. All have sinned and fallen short of the glory (character) of God. Therefore seeking legal perfection or righteousness is no longer an option. It was an option for Adam and Eve before they ate the fruit but has never been a viable option for us. 10:1 "Brethren, my heart’s desire and prayer to God for Israel is that they may be saved. 2 For I bear them witness that they have a zeal for God, but not according to knowledge. 3 For they being ignorant of God’s righteousness, and seeking to establish their own righteousness, have not submitted to the righteousness of God. 4 For Christ is the end of the law for righteousness to everyone who believes." Israel needs healing (salvation) but there is a barrier preventing it. The barrier is a misunderstanding of God and of themselves. They see God as Someone demanding something from them (perfect righteousness) and they are desperately (zealously) trying to produce it. They have become so addicted for generations to seeing God this way that they are blind to seeing the truth. The truth is that Christ is the end of the law FOR righteousness. As we've studied in Galatians and Hebrews and already in Romans the role of the law is simply to point out the problem just as an X ray shows a broken bone but can't fix it. We are broken. We are not just broken on the level of the things we do wrong, we are broken on the level of our desires. We desire wrong. We crave it. It is our nature. Jesus pointed this out clearly in His first recorded message to the people commonly called 'The Sermon on the Mount'. He explained that they had been taught that righteousness was not killing and not committing adultery etc... but Jesus said it's much more than that. Murder is a heart issue that begins with anger and then hatred. Adultery He said also begins in the mind. Imagine if the filth that goes through are mind were paraded across a screen on our foreheads for all to read? We don't have a behaviour problem we have a heart problem. That is why the old testament has promises of taking away our heart of stone and replacing it with a new one. A heart that seeks after Jesus and His perfect righteousness instead of hopelessly being obsessed with our own efforts at being righteous. 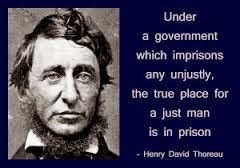 The law is not and never was our path to heaven. There are not 10 commandments but 10 promises. They were made by Jesus and they lead to the very throne and heart of God. We are going to cover a long passage today that finishes off chapter 9. Paul quotes several old testament passages that all point to the same reality. It is this: Not everyone who is a "child of God" in name and rank and position is actually a child of God. On the flip side not everyone who appears to be a "heathen" actually is. In chapter 9 Paul is specifically referring to the Israel/Gentile divide but the principle applies through all time. How many times did Jesus reach out to people His own disciples thought were hopeless? How many times did apparently pagan heathens reach out to Jesus in faith? It was to a "pagan" roman military leader who came to Jesus that Jesus said "I have not seen such faith in all of Israel". We must remember that the Israel/Gentile divide was man made and never intended by God for we are all His no matter our bloodline. And we would have been made as Gomorrah. Jesus is the Stone that makes men stumble and the Rock that makes them fall. We either fall down confessing our need of Him or we stumble trying to find some way to keep going in defiance of Him. The choice is completely ours and the choice is available to all. Who ever comes to Him He will not cast away.